Hello everyone! My name is David Mack. I am from Evanston, but have lived in Rogers Park all of my life. I just finished my freshman year on June 12. I’m one of the youngest to join Summer of Solutions at the age of 13 (I am 14 now). I am doing my second year here. I like this program because it gives me the chance to make a change in my town. I mean, who wouldn’t want to make their home a better place if they were given the chance? I was given the chance, and now I’m making my home a better place. LETS GO Chicago members have been quite busy throughout the late winter and early spring and we are excited to tell you why. 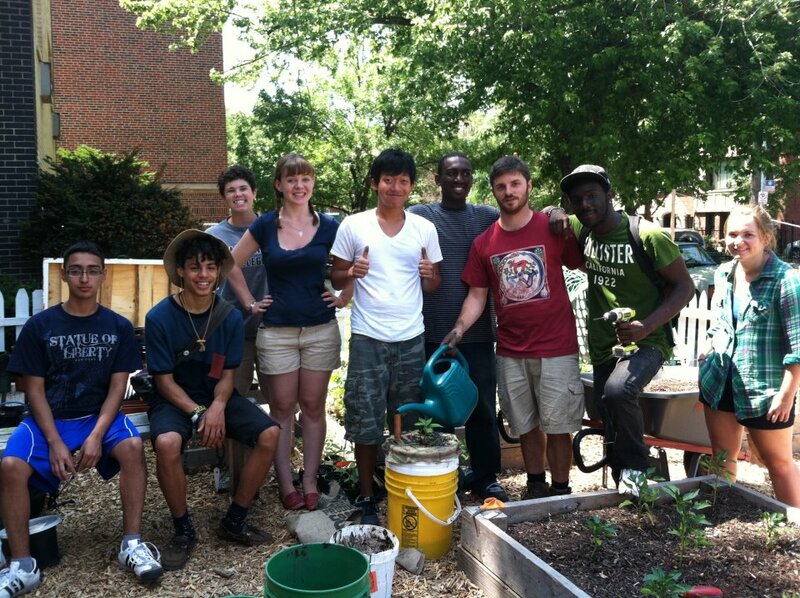 As Chicago thaws, the Rogers Park solutionaries are revving up for their fourth season of gardening, community building, youth empowerment and more. 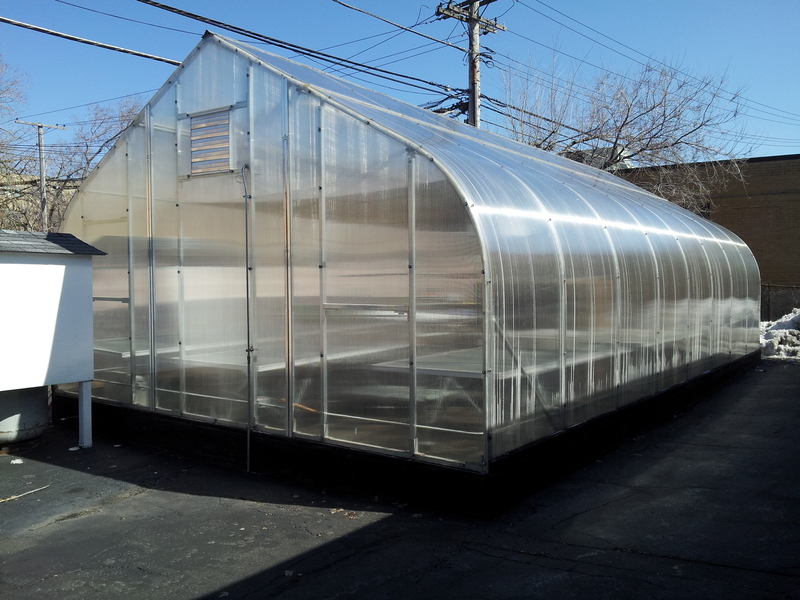 We have been preparing for our spring garden since early March by planting seedlings in our new greenhouse in West Rogers Park. Through a new partnership with the Westwood Manor Nursing Home, we are breathing life into the 18 by 32 foot space with the help of nursing home residents. The greenhouse is allowing us to select a wider range of crop varieties while providing a valuable learning experience for all involved. Grand Aspirations is now accepting applications to participate in our 2013 Summer of Solutions programs! Apply here! My name is Ethan Viets-Vanlear, I was born and raised in Chicago, Illinois where I am currently a student, activist, poet, and organizer. I started Summer of Solutions in the summer of 2012 through Let’s Go Chicago. My initial motive for joining SoS was to spend more of my time outside building tangible solutions to some of the issues I noticed around me. I was also excited to spend my time growing food. I think the biggest thing that I got from SoS was the notion that any problem has a solution that I can take part into making happen. SoS really taught me a way to help a community without being part of various systems of oppression and control that dominate most organizations and institutions in our society. 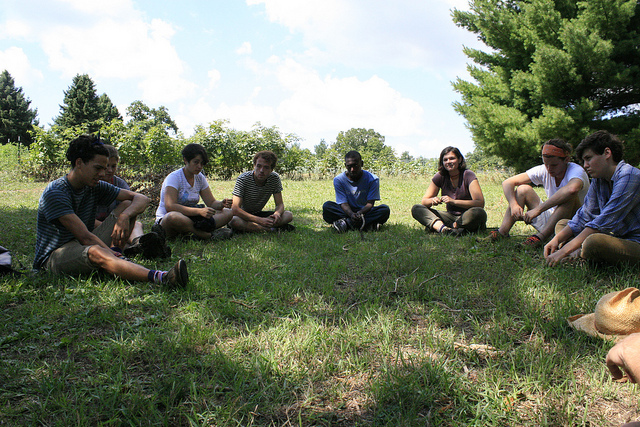 My favorite memories from SoS would have to be our various trips offsite to places like a farm, or spending time with all the participants around a campfire. Grand Aspirations is now accepting applications to participate in our 2013 Summer of Solutions programs! Apply here! This post is cross-posted from LetsGoChicago.org, homepage of the Chicago solutionaries! Written by Marissa Neuman, Chicago 2013 Program Leader.